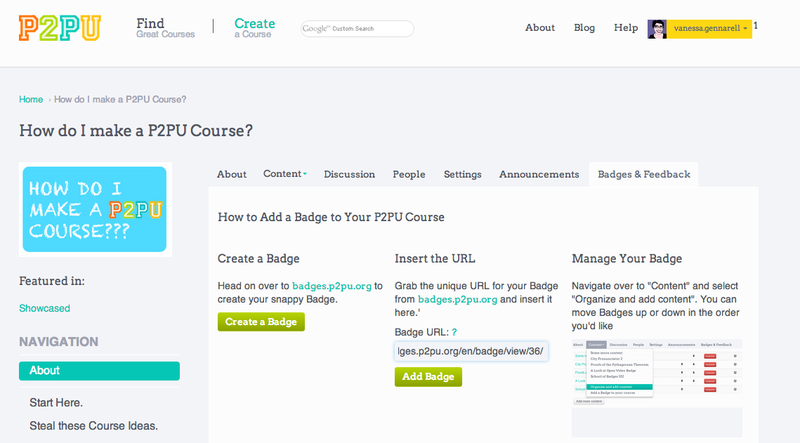 Your task: Add a Badge to your P2PU course. Post the link to your P2PU course, with the Badge added, below. 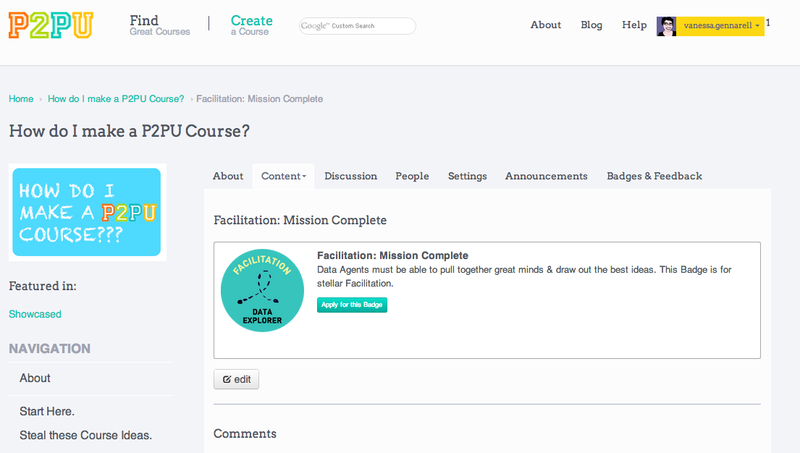 Step 2: Go to your P2PU Course and click on the tab "Badges and Feedback"
Step 3: The Badge will appear as a piece of Content in the left-hand navigation, and learners will see it. From there, you can move the Badge around in your course, or delete it, under "Content: Organize and Manage Content."